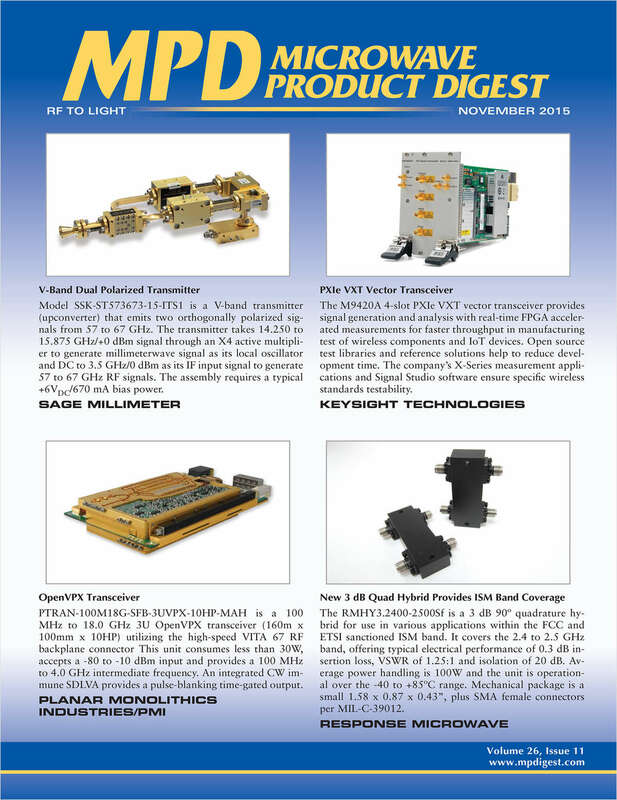 Free Publication: "Microwave Product Digest"
Is the premier new product magazine devoted to information on components, equipment and subsystems for the RF, microwave and wireless industries. By submitting this content request, I have legitimate interest in the content and agree that Octagon Communications, their partners, and the creators of any other content I have selected may contact me regarding news, products, and services that may be of interest to me. Do you wish to receive a FREE subscription to Microwave Product Digest? What version of Microwave Product Digest would you like to receive? View Sample Digital Edition Here. At which frequencies do you work? Are you involved in RF or Microwave OEM or USER field? Complete and verifiable information is required in order to receive this subscription. • Geographic Eligibility: USA (Print or Digital version), Mexico, Selected International (Digital version only). • The publisher determines qualification and reserves the right to limit the number of free subscriptions.